Dublin kitchen to the next level. Upgrading your kitchen is one of the best ways to add value and improve the overall appeal of your home. Kitchen renovations offer the highest return on investment. Even if you don’t plan to sell the home in the near future, updating the kitchen can make a big difference in the look and feel, as well as the functionality. When you’re shopping for new materials for your kitchen, you’ll soon find that there are a lot of options. In fact, just picking your cabinets or floors can feel very overwhelming. When it comes to the countertops, it’s helpful to have a trusted partner to find the right materials that will complement your new kitchen. You can trust our team at The Granite Guy to find the exotic countertops that will take your kitchen to the next level. Many homeowners in Dublin, Ohio stick with basic granite, but this option doesn’t stand out the way exotic and bold materials will. Exotic countertops add a bright splash of color to any space, drawing the eye and creating a unique appearance. 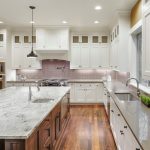 Unlike the other homes on your block, which tend to run together and look similar, yours will sit above the rest when you opt for exotic countertops that no one else has. If you’re interested in looking at samples or learning more about exotic countertops, contact us at The Granite Guy. We have more than 80 full slabs on display at our showroom, offering easy accessibility for those throughout the Dublin area. Contact us today to learn more!